Get Your Free Parenting and Teaching Tips! Would you like to receive free parenting and teaching tips sometimes? Sign up my newsletter and receive useful parenting and teaching tips once in while (because I don’t want to block your mailbox and I know how busy you are). What eBook will you get? Do you need some help to develop your child’s writing skill but you are too busy to think about activity ideas? If so, this eBook, ‘How to develop your toddler’s writing skill’ is for you and I send it to you for free. I know, that you want the best for your child. You work so hard at home, you do your best at work and you grab every chance to meet your child’s teacher to talk about your child’s progress. But usually, teachers don’t have enough time to go into details and you don’t have time at drop offs and pick ups because you are rushing to work or home. 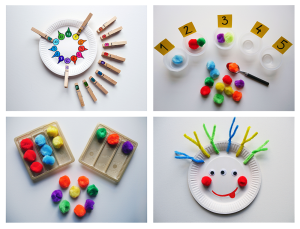 Although, in the nursery, children must do lots of activities that improve their writing skills, yet, you could increase their chances doing specific activities at home. 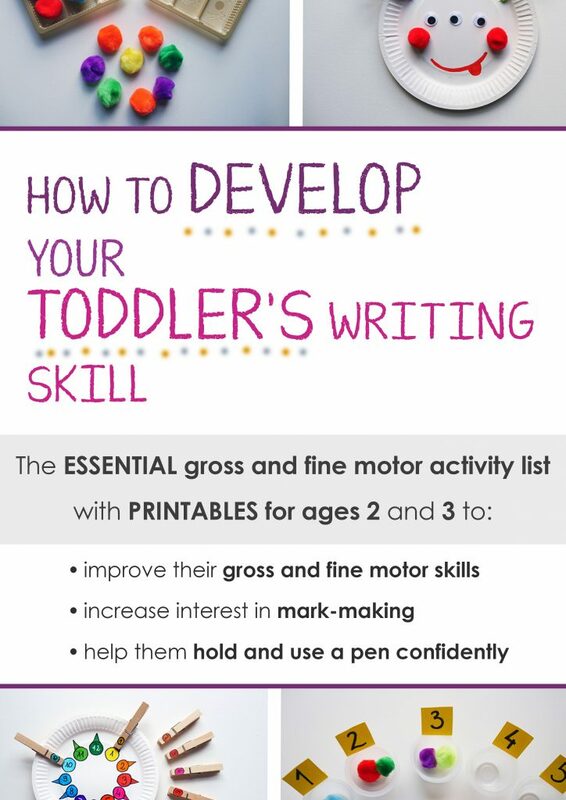 What are these specific activities to develop your toddler’s writing skills? The eBook that I am going to send you has more than 150 age-appropriate activities, that develops your kid’s writing skill in a playful way and which are easily achievable – so it doesn’t require long preparation. 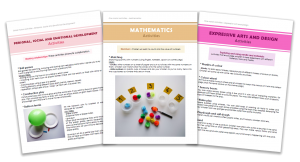 I gathered gross and fine motor activity ideas from my experience as an early years teacher, which are highly effective and I made them simple to save your time. What’s going to happen if you use this eBook? 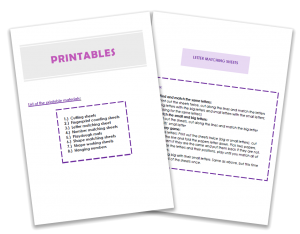 9 types of Printables for your little one to make the activities more effective. To know ‘How to develop your toddler’s writing skill’ in a simple yet effective way, just sign up for my newsletter by entering your email address. The eBook will be sent to your email box straight away, ready to use!